50 Cent has discovered that he is a Bitcoin millionaire, thanks to some long-forgotten album sales. In 2014, he released the album Animal Ambition and became the first artist to accept Bitcoin as payment. The rapper received more than 700 Bitcoins under the deal, but then forgot about the cryptocurrency, according to celebrity news site TMZ. The hoard is worth $7-$8m, although the currency's price volatility means that could change fast. In 2014, one Bitcoin was equivalent to about $662, but was worth about $11,200 on Thursday according to Coindesk. 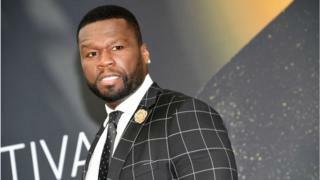 "Not bad for a kid from South Side, I'm so proud of me," 50 Cent - whose real name is Curtis Jackson - wrote on Instagram, confirming the news in a post that featured a screenshot of the TMZ article. 50 Cent also posted a picture of himself on Instagram surrounded by Bitcoins, with the caption: "A little bit coin anyone? LOL. l know l make you sick but excuse me I'm getting to the bag." Over the last 12 months, several celebrities have been paid to promote and endorse various virtual currencies on social media. In September, Hollywood actor Jamie Foxx promoted the sale of cryptocurrencies on a trading exchange called Cobinhood. And in October, US rapper Ghostface Killah, of the rap group Wu-Tang Clan, co-founded Cream Capital - a start-up aiming to develop a network of blockchain ATM cash machines for turning cryptocurrencies into cash for withdrawal. Recently, French reality star Nabilla appeared on Snapchat on 12 January to encourage her fans to invest in Bitcoin. "Even if you do not know anything about it, it makes money without investing much," she said, according to French financial newspaper Les Échos. But Nabilla's video caused concern at the French regulator L'Autorité des Marchés Financiers, which promptly tweeted a warning that people do not to invest in Bitcoin due to the risks involved. Bitcoin: Should we care about its price?